Barker Surveying proudly delivers property surveying services for a wide range of situations, to a broad scope of customers. Our services include boundary surveying, construction surveys, topographic surveying and ALTA/NSPS land surveying, among many others. Let us provide you with the definitive information you need about your plat. Contact us today for a free estimate on surveying. There’s a lot more to your land than the size or value of the plat. 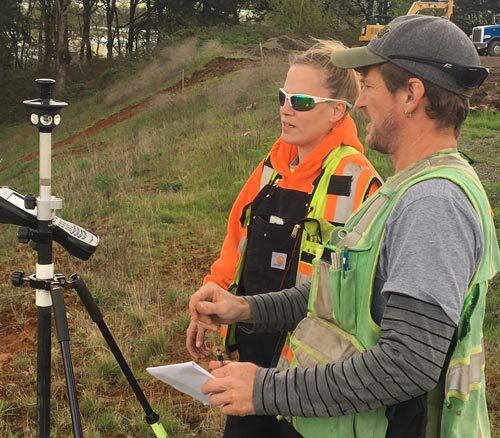 Getting pertinent data from an experienced land surveyor in Salem, OR will shed light on everything from topography to easements, profiling a plat that’s much more than just a parcel of land! If you’re looking to learn more about your property, turn to Barker Surveying. For the better part of 40 years, we’ve provided extensive surveying services for landowners and developers throughout the region. Our goal is to deliver a broad range of detailed information to you, so you understand your plat on a fundamental level. Whether you’re a homeowner in the middle of a legal boundary dispute or a commercial developer seeking an ALTA survey before breaking ground, we can help. In fact, there’s not much our survey company in Salem, OR can’t do to assist you! Our experience runs deep and our dedication to client satisfaction runs deeper. Let us provide you with the information you need—including boundaries, elevation, topography, improvements, easements, legal definitions and much more. We do our job right, so you can proceed with yours in total confidence! Whether you’re brokering a real estate transaction or developing the land, we’ll give you the knowledge necessary to make the most of your situation. Founded in 1972, we’ve got decades of surveying experience under our belts, with the ability to perform a broad scope of services for our customers. We serve engineers and architects, as well as construction companies, contractors and homeowners. Let us tailor our abilities to meet your needs. We’re affiliated with the Home Builders Associations of Marion and Polk Counties, as well as the Better Business Bureau (BBB). Our reputation for excellence means we’re organized, managed and equipped to meet your surveying needs in an accurate and timely matter. We’re proud to be a locally-owned, family-operated company serving our friends and neighbors. We offer free estimates to all our customers. If you require land data for the purposes of development, legal intervention, preservation or sale, Barker Surveying will make sure you have the right information about your plat!